Conviction was truly amazing and it was hands down my favorite novel by Corinne Michaels so far! 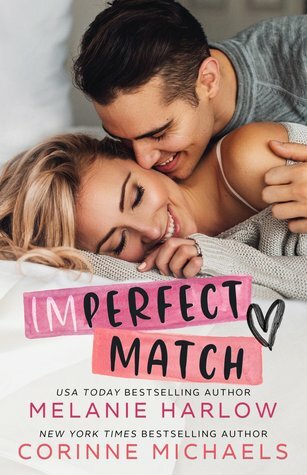 I absolutely loved how she wrote the conclusion to Liam and Natalie’s story, and I couldn’t have been happier with the outcome. It was so much better than I expected and I was more than pleased with everything that happened in this novel. Liam and Natalie were more amazing than ever, and I loved seeing their relationship progress. I loved the close bond they had and I loved their interactions with each other. It was always entertaining and almost never failed to make me smile. There were a few ups and downs throughout, but all of it was definitely worth it in the end. I loved where Ms. Michaels took Liam and Natalie’s story, and I loved reading it from both of their POV. Liam and Natalie’s story was beautiful, though heartbreaking at times, but it was absolute perfection and I loved it with all of my heart. Everything about the Consolation duet was amazing and I am so glad that I read it. The secondary characters were wonderful as well, and I loved getting to see so many familiar faces again, especially Mark, Jackson, Catherine, and a few more. Mark was a riot, especially towards the end of the book, and I can’t wait to read his story in Defenseless, the final installment in the Salvation series. 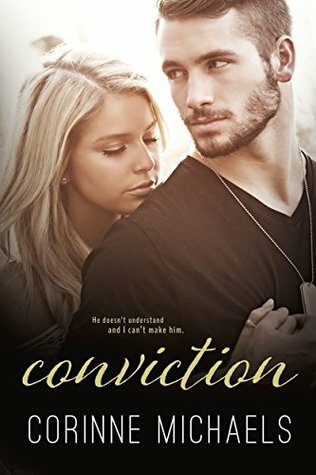 I truly loved reading every single page of Conviction and was absolutely ecstatic with the conclusion to Liam and Natalie’s story. Corinne Michaels did a phenomenal job with the Consolation duet, and I will remember Liam and Natalie’s story for a very long time to come. If you haven’t read the Salvation series yet, you should definitely check it out! FIVE “Liam & Natalie” STARS!